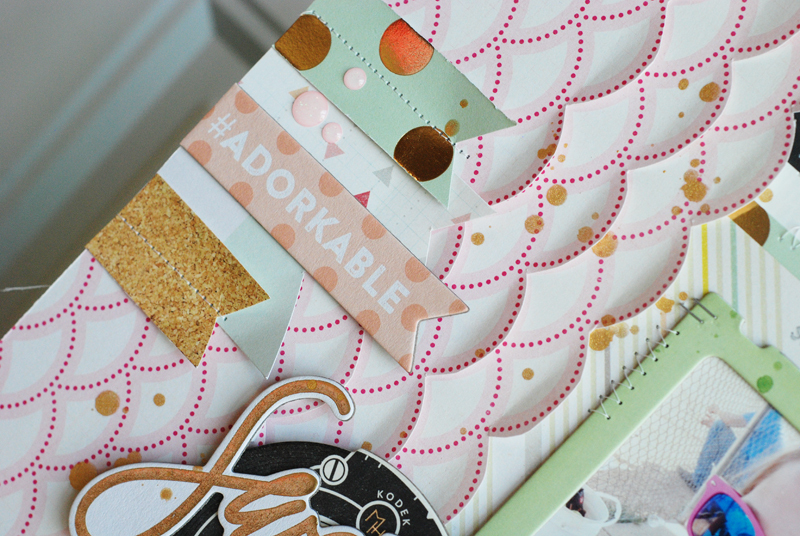 I'm so excited to finally tell you that I'm going to be blogging over on the Scrapbook Expo blog (the Weekly Scrapper). I'm thrilled to be working with a great company that is passionate about papercrafting and educating scrapbookers. From now on, I'll have a project over on the Weekly Scrapper blog every Thursday. These posts will be called, Inspiration Station with Becki Adams. My sweet friend Jen Gallacher has been doing the Inspiration Station posts. Jen is amazing, I know I'll never fill Jen's shoes but I will have some great projects to share. Today, I'm sharing a couple of my favorite projects and a new project I created just for my introduction day on the Weekly Scrapper blog. Here's a sneak peek of the layout. Make sure you hop on over to the Weekly Scrapper blog to say "hello" and see the entire layout.